Most of us aren’t born with Kylie Jenner lips. And you know what? Neither was Kylie. When news broke a few months back about Kylie’s decision to scale back on her use of lip fillers, many were shocked - but we were all for it. Most of our patients say they want more feminine, more plump lips - but they don’t want a dramatic, that-can’t-be-natural type of pout like Kylie’s former look. Kylie’s new, softer, less dramatic pout is an excellent example of lip injections done right. There are lip products that help to plump the lips (we’re big fans of SkinMedica®’s HA5 Smooth and Plump Lip Duo for this), but often, our patients say they just want a little more oomph to their natural, bare pout. For this, we recommend lip fillers. There are two major types of injection treatments in the aesthetic world: neurotoxins (like Botox® and Dysport®) and fillers. Botox®/Dysport® act by relaxing the muscles responsible for creating wrinkles. They are usually used on the upper third of the face - think forehead and crow’s feet. Dermal fillers work by adding volume to the injected area, and can be used in the cheeks, lips, mouth area, and chin. For lip injections, Dr. Majewski typically uses Restylane Silk®, which is a hyaluronic acid filler. You might be familiar with hyaluronic acid already - it’s a common ingredient in moisturizers and hydrating serums like SkinMedica® HA5 Rejuvenating Hydrator. Hyaluronic acid is great for skincare and injections because of its natural water-loving properties - it helps your skin (or in this case, your lips) retain moisture which keeps it looking plump and healthy. Restylane Silk® adds volume to the lips by attracting water molecules to the site to enhance its plumping power. One of the most common concerns we hear from patients is that they’re afraid that they won’t look like themselves after getting injections. They’re worried that they’ll have ‘duck lips’ that will be noticeable and won’t feel proportionate to the rest of their face. Photo courtesy of Marci Robin. Lip injections are supposed to help create balance in your face - but it takes an experienced injector to do this well. 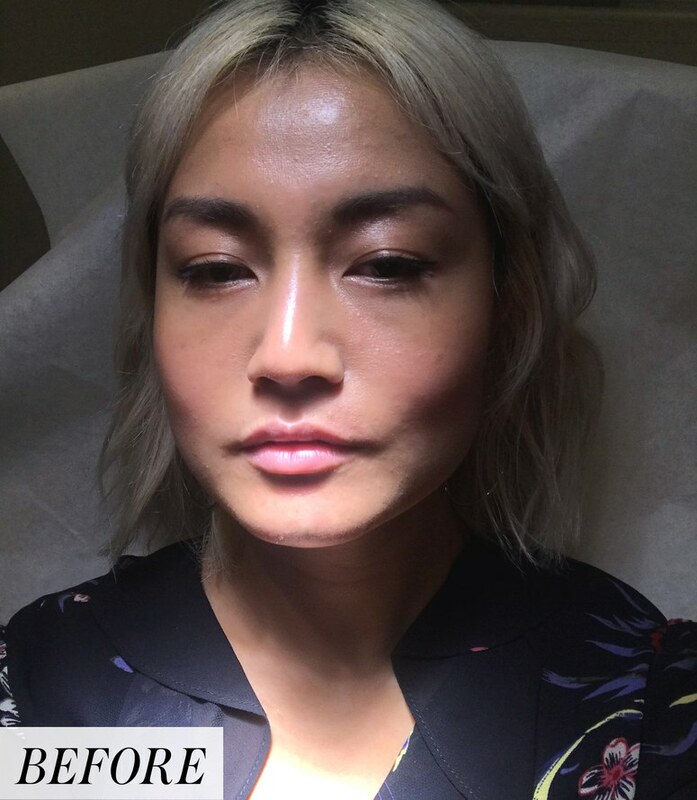 This is why it’s important to go to someone trained in aesthetic medicine - they’ve spent years learning how to create natural symmetry in the face. Patients often remark that they fear ‘overdoing it’ and then going home and having to live with the results. One of the best parts about fillers is that you can see exactly where the filler is going and how it’s looking while it’s being injected. Reputable injectors will start conservatively - a small amount of filler goes a long way - and then will ask for your input before adding more. You can always add more filler at a later appointment - and as many learned from Kylie Jenner’s tell-all - you can also take them out if you feel you’ve had too much. If the thought of needles makes you cringe, you might be a little nervous about puckering up for injections. But fear not - unlike your flu shot, you’ll be numbed for your injectables. Although you might still feel some slight discomfort, it should be tolerable. Photo courtesy of Sable Yong. Most of our patients say that their results are well worth the few minutes of discomfort! Lip filler treatments usually take less than 10 minutes once you’ve been numbed. Downtime is always an important consideration before any treatment or surgery - you always want to be considerate of what you have going on in your life before scheduling. With injections, as with any treatment involving needles, you’re likely to experience some swelling due to the ‘injuries’ created on the surface of the skin. Luckily, lip injections don’t require a significant recovery period - most patients say that their swelling goes down in a day or two, although it may take up to three days to fully subside. Applying ice to your lips can help reduce swelling faster. If you’re really concerned about getting ‘found out’, schedule your treatment for a Friday and have a chill weekend at home - by Monday you should be ready to debut your undetectably perfected new pout! If (like many of our patients), you fall in love with your new look, you’ll want to schedule appointments every 4-6 months to maintain them. Prepare to spend between $400-$800 per treatment (1 syringe of Restylane Silk® costs $600 at Majewski Plastic Surgery) depending on how much filler is used. Want to see if lip injections would be right for you? Schedule a consultation with Dr. Majewski! Dr. Majewski has been a trusted provider of Botox® and fillers for over 18 years. Consultations cost $100 and can be applied as a credit toward the purchase of any treatment or surgery at Majewski Plastic Surgery in the 12 months following your first appointment. Newer PostAre Breast Implants Safe?